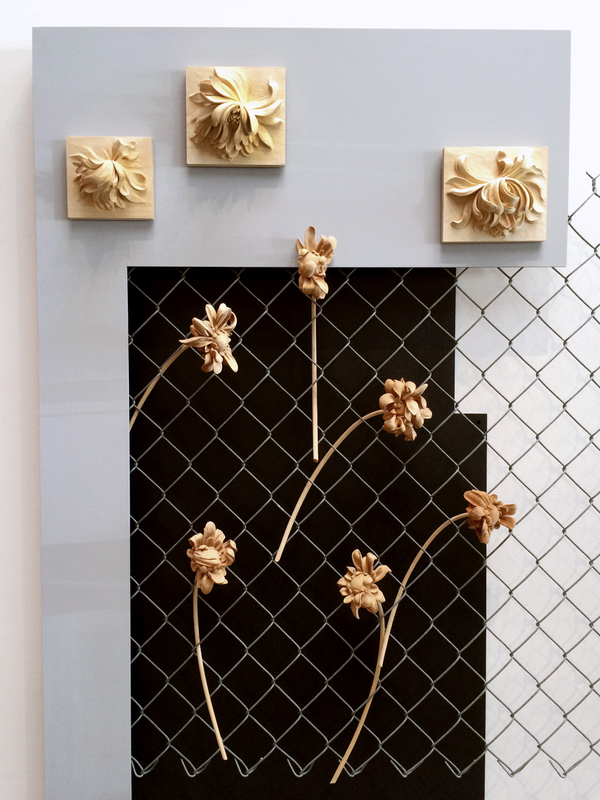 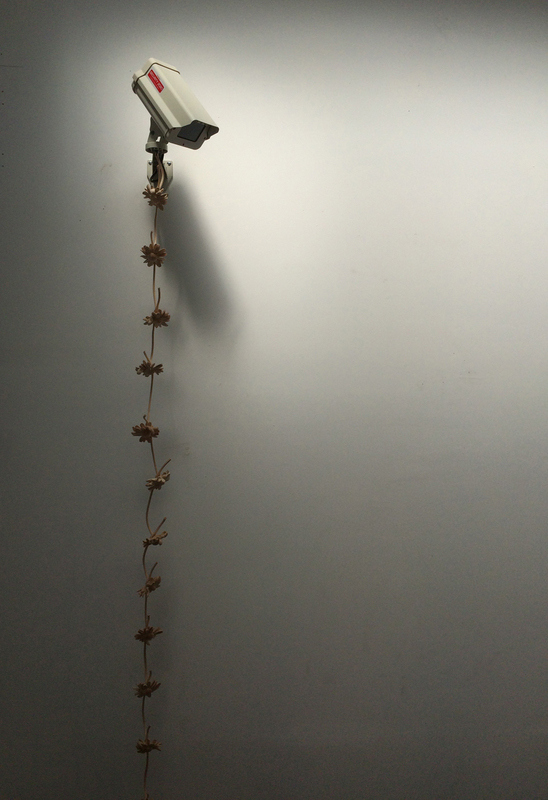 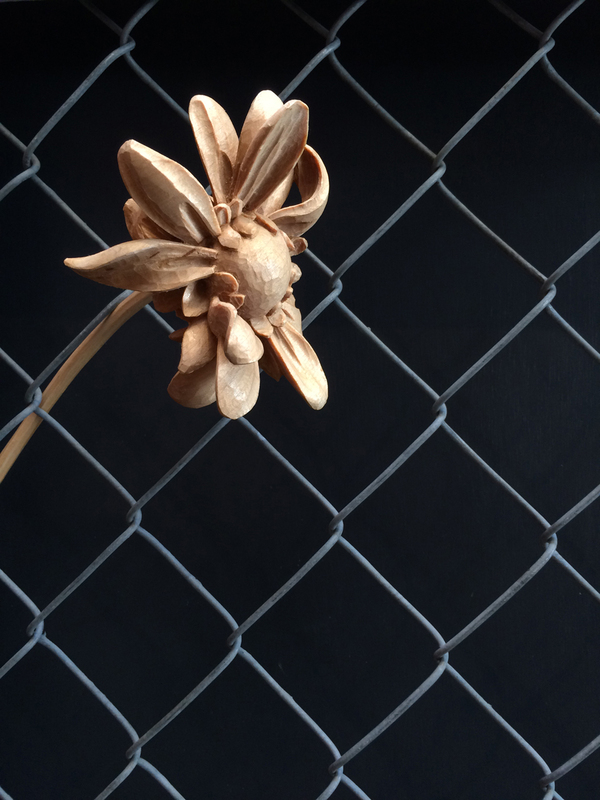 Adam Thorpe’s Flowering, a 25ft installation on the gallery’s atrium wall, draws inspiration from the roadside memorial, where flowers are placed on a chain-link fence. 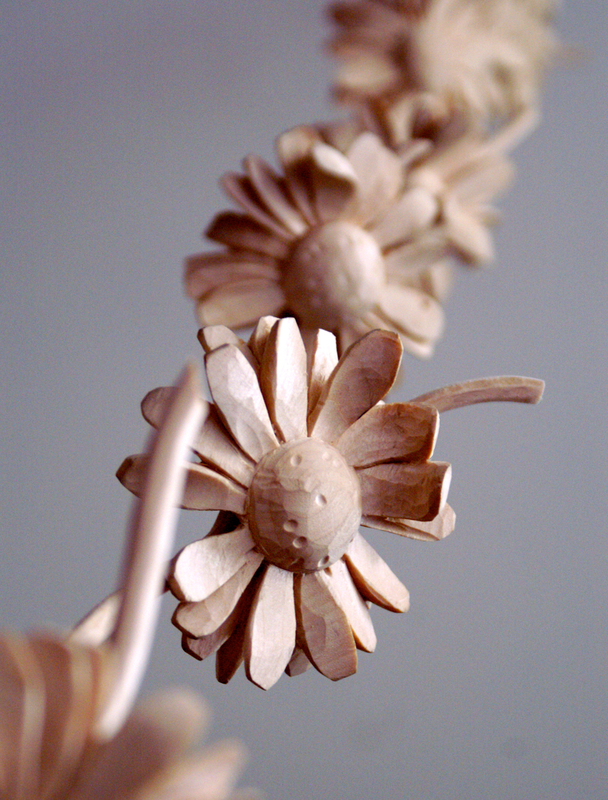 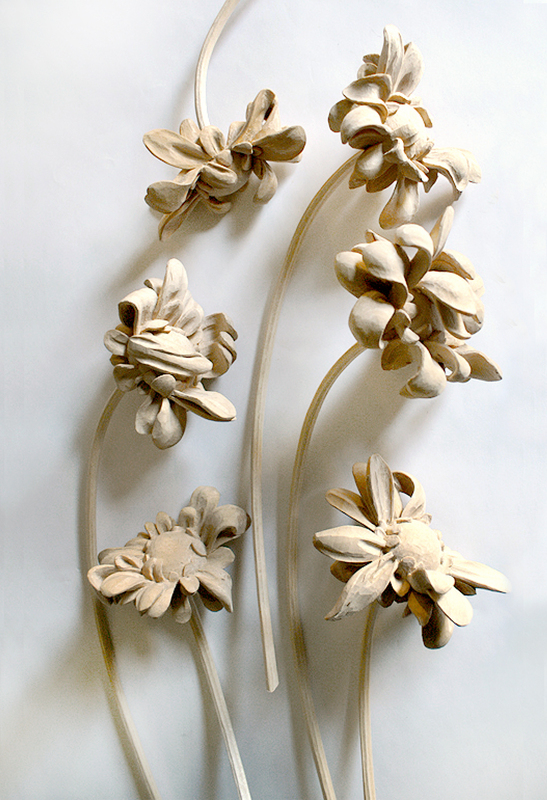 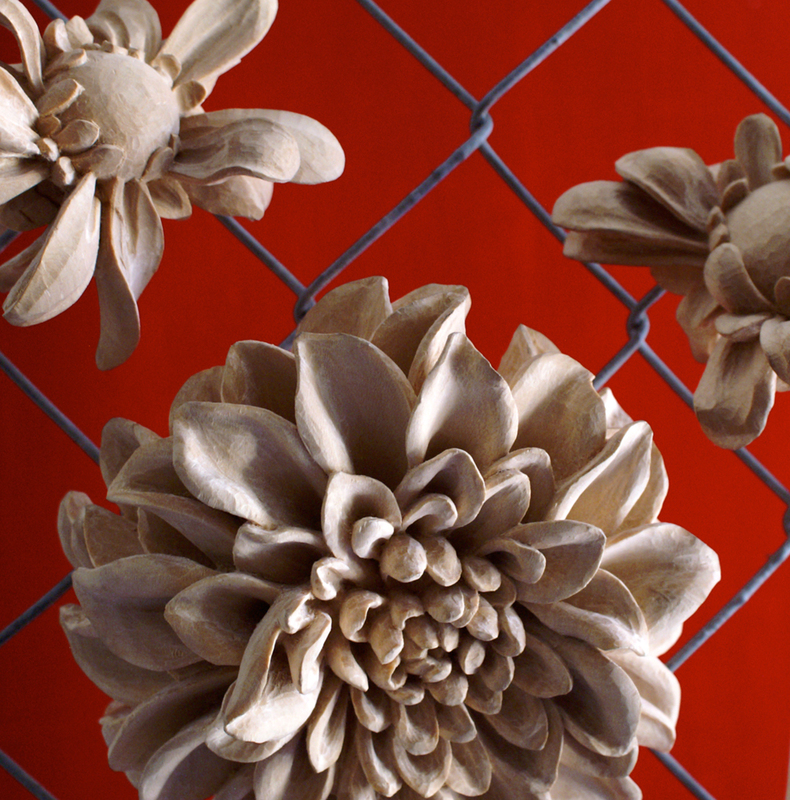 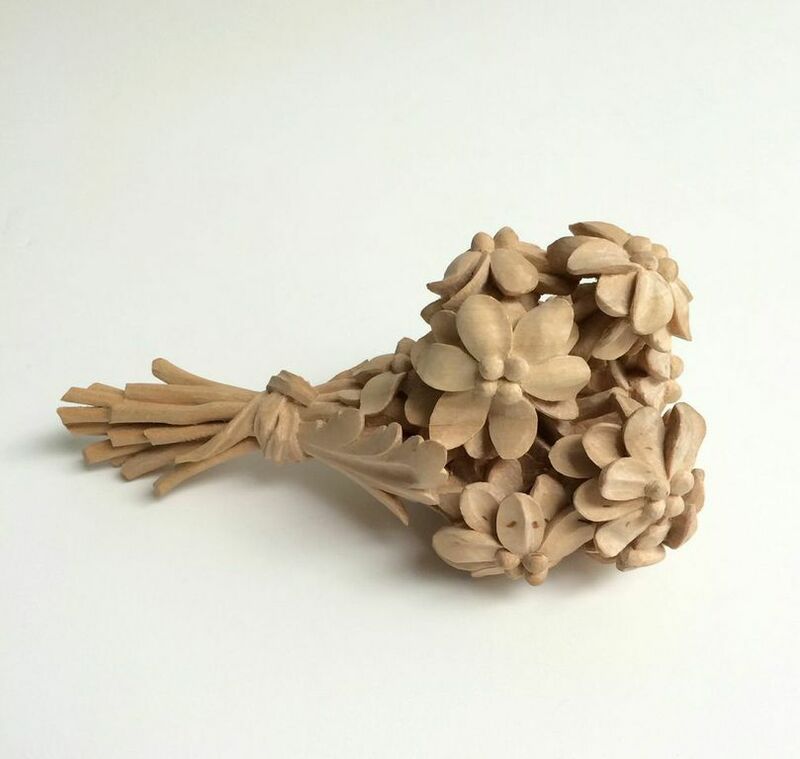 Working with basswood (Tilia americana), hand tools, chisels, and gouges, the artist has carved an intricate series of wilted blossoms and flowers in full bloom, each unique in its own ornate and commemorative nature. 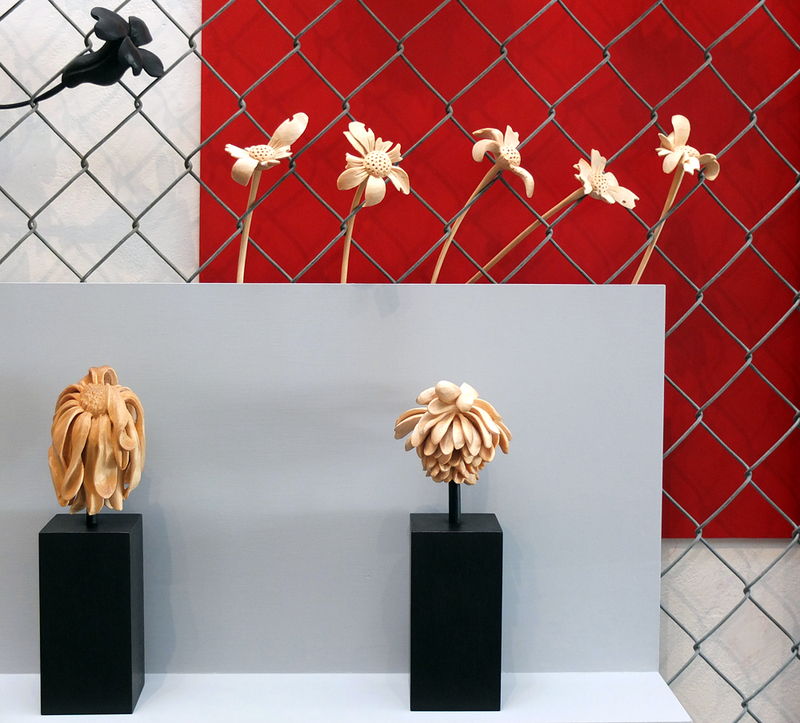 Against the backdrop of the everyday chain-link fence, these elaborate objects become meditative manifestations of very idea of memorial. 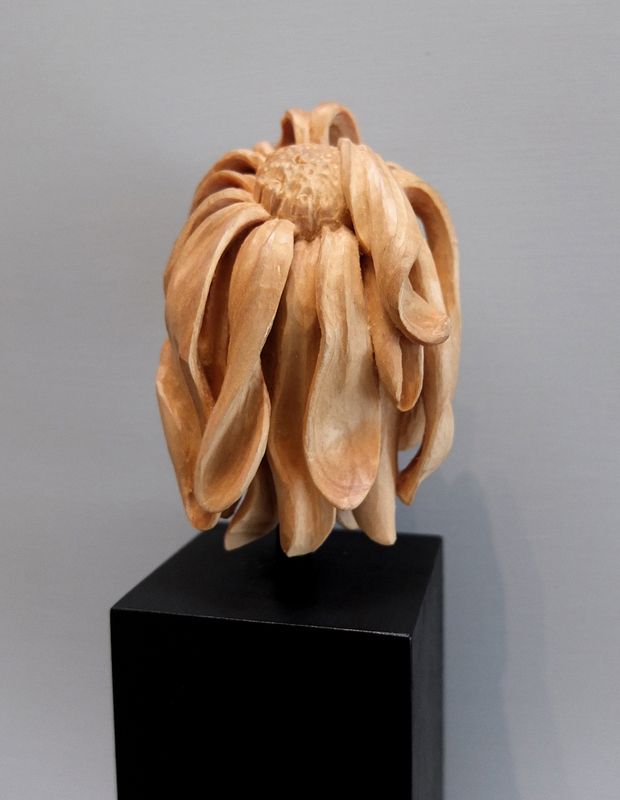 Created using techniques beyond the confines of traditional woodcarving, the work also considers a meeting of the ornamental and sculptural, evoking a sense of intricacy and movement that is a commonly found in nature, as well as the artists hand. 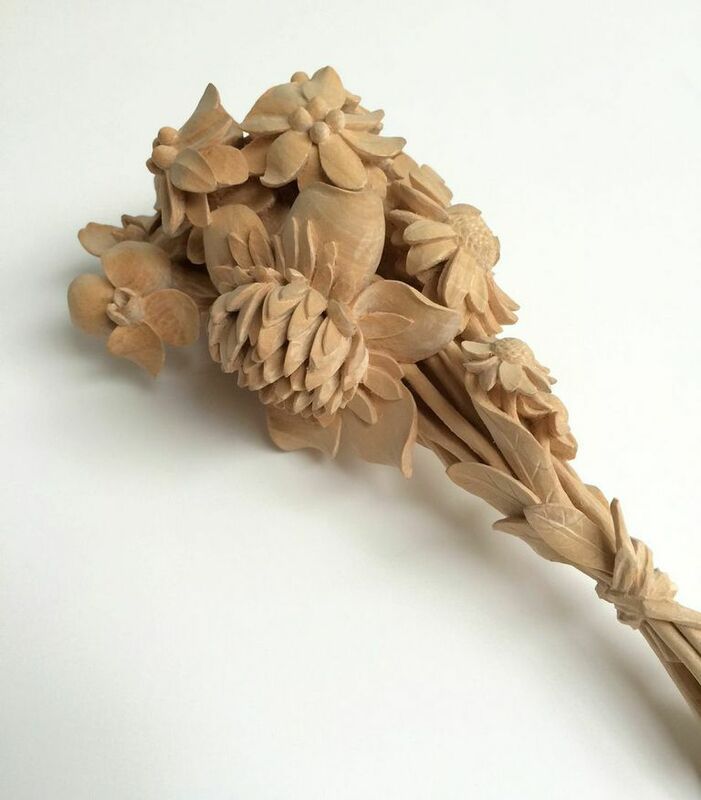 Thorpe, an elected member of the UK’s Master Carver’s Association, started woodcarving at an early age in his father’s home workshop in England. 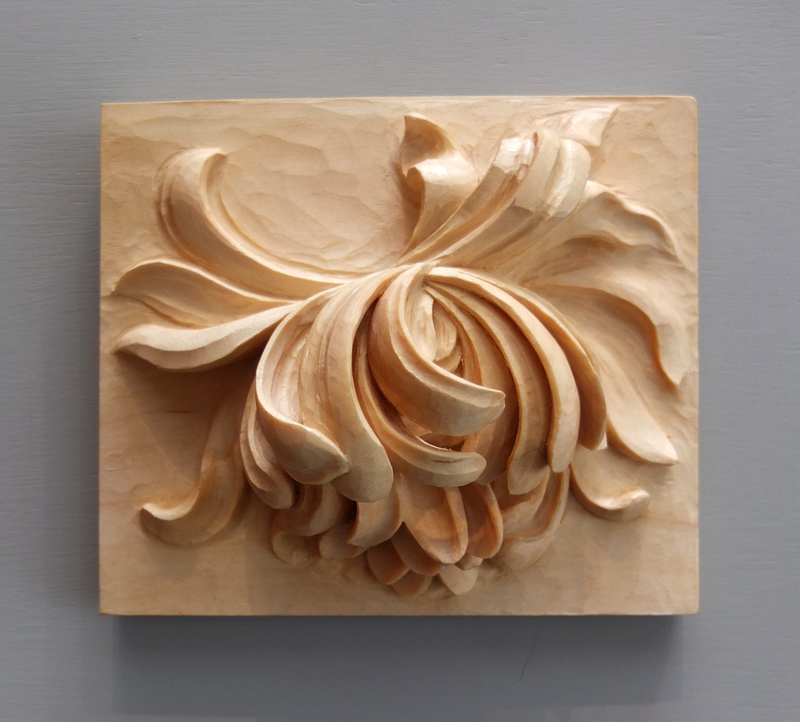 He apprenticed with British Master Carver Ian Agrell, before studying drawing and modeling at the City and Guilds of London Art School. 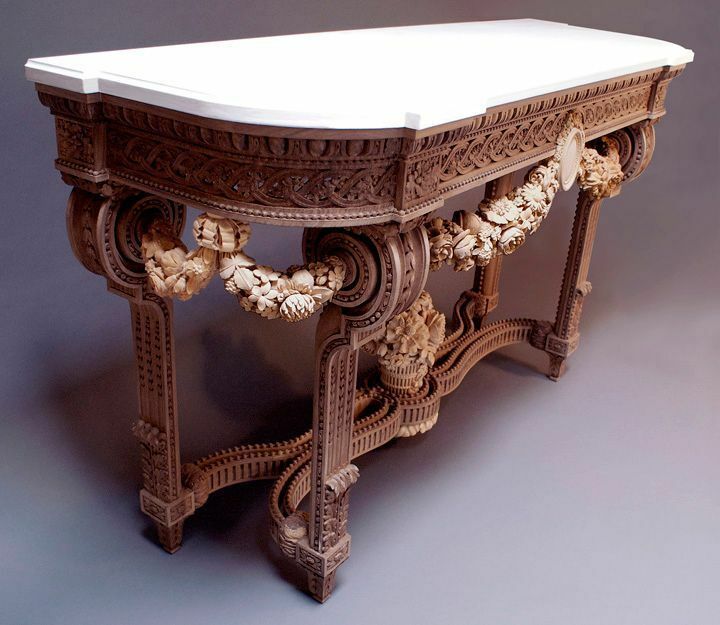 Since moving to the United States in 1992, he has worked on carving, restoration, and ornamental design for private residences and national museums, including the spectacular Salon Doré restoration project at the San Francisco Museum of the Legion of Honor. 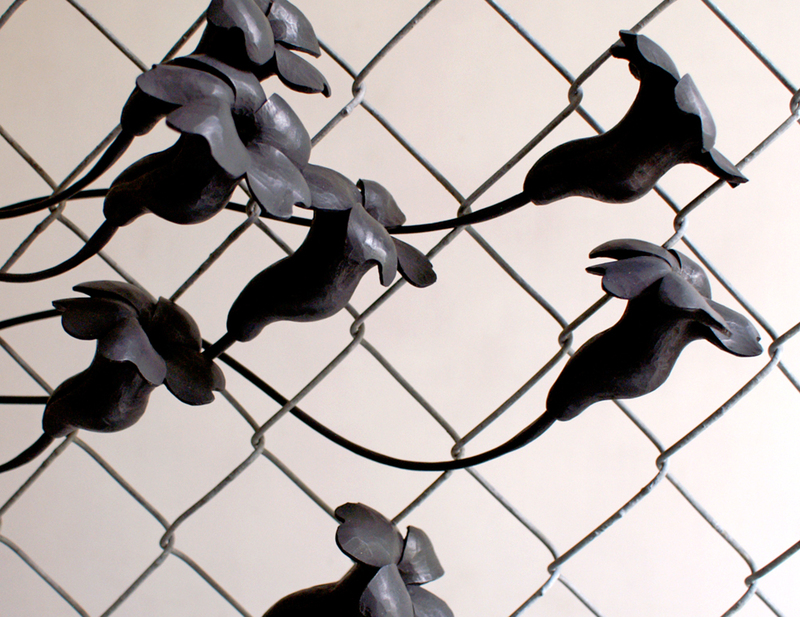 He presently lives in Oakland, California. 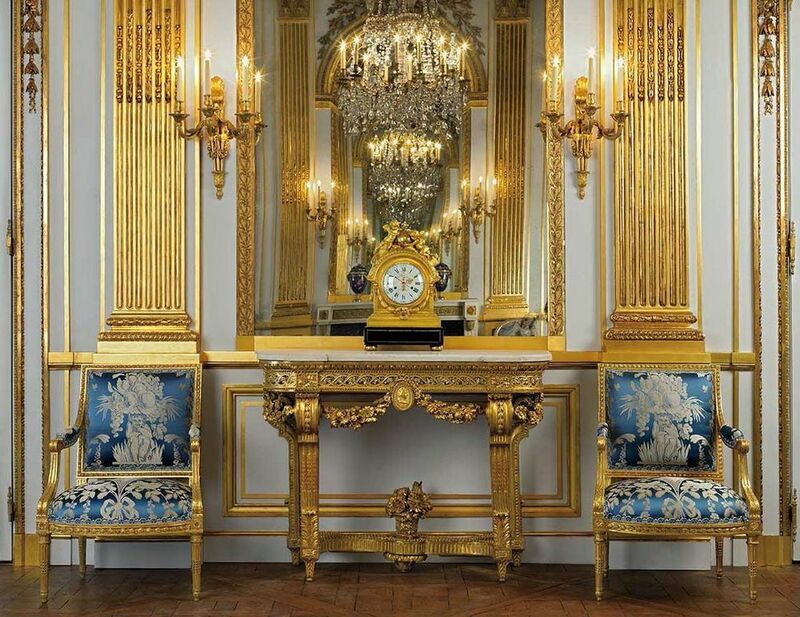 Additional information and more images of The Salon Doré from the Hôtel de La Trémoille at the Legion of Honor can be found HERE. 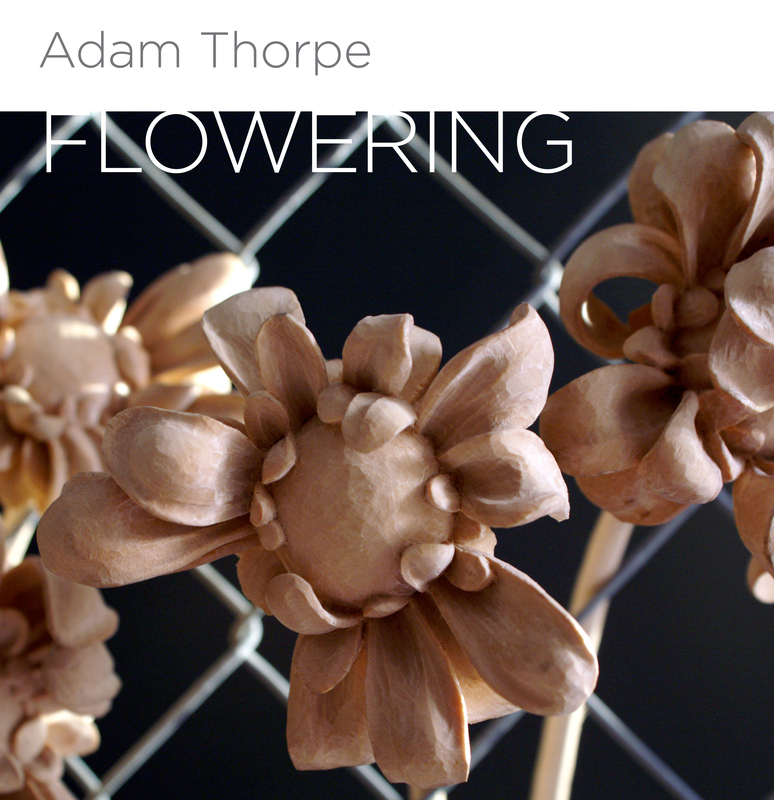 To download a full PDF of the press release, CLICK HERE.